I usually like to publish this post in late December or early January, but that just didn’t happen this year. I’d considered scrapping it altogether (since this post is probably really only important to me) but decided against it since I like seeing the rationale behind each challenge I chose to tackle at the end of the year. So for 2015 I’m combining the “beginning of the year” post with a “first quarter” update. Better late than never! Note: you can click here to track my progress toward these challenges throughout the year. A consistent reading goal of mine is to read more classic literature. I’ve participated in this challenge for the past two years now, and I’ve found it helps me hone and prioritize the classic literature I read every year. Obviously I’m not off to a great start in 2015, but I have plans to read a few good classic books soon! 1. A 19th Century Classic — any book published between 1800 and 1899. 2. A 20th Century Classic — any book published between 1900 and 1965. 5. A Very Long Classic Novel — a single work of 500 pages or longer, regular-sized print. This does not include omnibus editions combined into one book, or short story collections. 6. A Classic Novella — any work shorter than 250 pages. 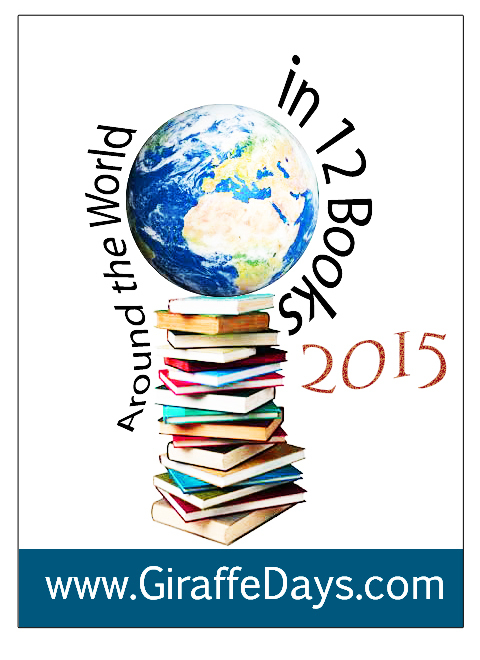 For a list of suggestions, check out this list of World’s Greatest Novellas from Goodreads. 7. A Classic with a Person’s Name in the Title. 8. A Humorous or Satirical Classic. 9. A Forgotten Classic. This could be a lesser-known work by a famous author, or a classic that nobody reads any more. If you look on Goodreads, this book will most likely have less than 1000 ratings. 10. A Nonfiction Classic. A memoir, biography, essays, travel, this can be any nonfiction work that’s considered a classic, or a nonfiction work by a classic author. 11. A Classic Children’s Book. 12. A Classic Play. 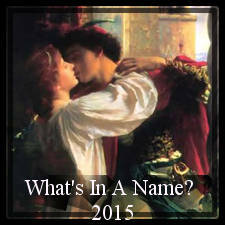 Your choice, any classic play, as long as it was published or performed before 1965. This will be my third time participating in this challenge. I love the idea of trying to plan my reading around words in the book’s title. It’s been fun the past two years, and I don’t expect this year to be any different! 1. A word including ‘ing’ in it (The Time Of Singing, Dancing To The Flute, Lex Trent Fighting With Fire) My examples are verbs but you can of course use other words. 3. A familial relation (Daughter Of Smoke And Bone, Dombey And Son, My Cousin Rachel) By all means include in-laws, step, and halves. One reason I started this blog (nearly 3 years ago!) was to become a more well-rounded reader. I think reading books set in locations very different from my own is a large part of this package. Plus, I love “arm-chair traveling”–it’s a cheap and fascinating way to learn about the world! I am signing up for the “Seasoned Traveler” level, or I hope to read at least 12 books set in a different country (excluding the United States). I read somewhere recently that only a small portion of books are translated into English and sold in the United States. Then, I looked through my own collection and was startled to realize how few of my books were actually translations to English–I always thought I had a pretty well-rounded collection! Therefore, I decided to make a concerted effort this year to read more books that were translated to English from the author’s native tongue. I am signing up for the “bilingual” level, or I hope to read 7-9 books translated to English from another language. I had a good time working through this challenge in 2014 and I came super close to completing it (if only I had found a graphic novel I wanted to read). I have high hopes for this year, and have a good idea of what I want to read for each category! 10. 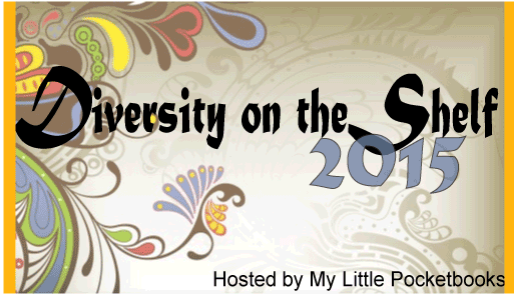 Featuring diversity: See Challenge #6 below! I was looking for new challenges to try and this one quickly caught my eye. This is a statistic I’ve never tracked in my reading before, and I’m curious to see how many books featuring a person of color I will read this year! I am signing up for the “3rd shelf” level, or I hope to read 13-18 books that are written by or are about a person of color. Two years ago I noticed I was shying away from long books in the pursuit of reading a larger number of books. This sort of made me sad because I had always prided myself on reading any book that interested me regardless of how long it was. 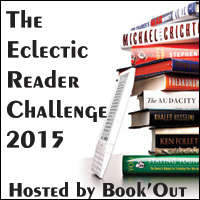 So I joined this challenge last year, and ended up reading 13 “chunky” books! I have set my sights a bit lower this year since 2015 will likely be a busy year for me, but I’m still looking forward to reading some great long books! 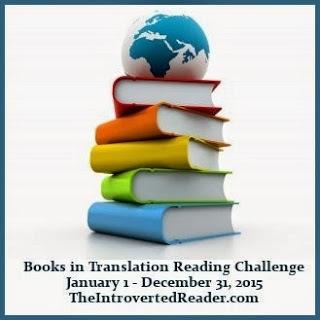 In this challenge, the goal is to read a book that is 450 pages or more. 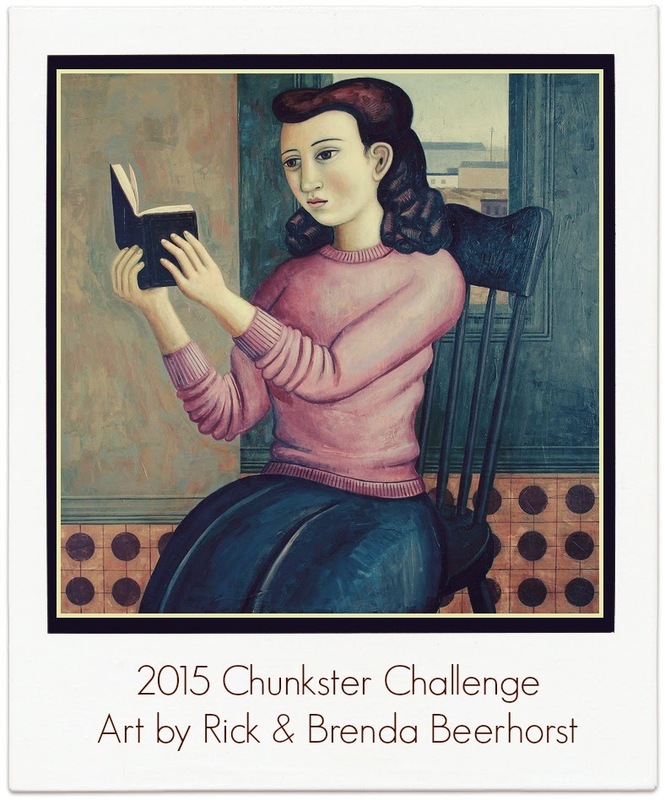 I will attempt to read 10 chunksters in 2015. I will try to read 52 books in 2015. Of these 52 books, I’d like at least 10 to count toward finishing The Big Read List and/or 1001 Books To Read Before You Die. Well, there you have it! Hopefully I didn’t set my sights too high this year!!! !